Studying Arabic requires effort and dedication, and most shortcuts will lead to less desirable results. However, there are ways to speed up the process, and learn quicker. More effective study can help produce results in a more timely manner, thus boosting confidence and interest in the language. The more fun and interesting the process is, the more effective your studies will be. And who doesn’t want to have fun? 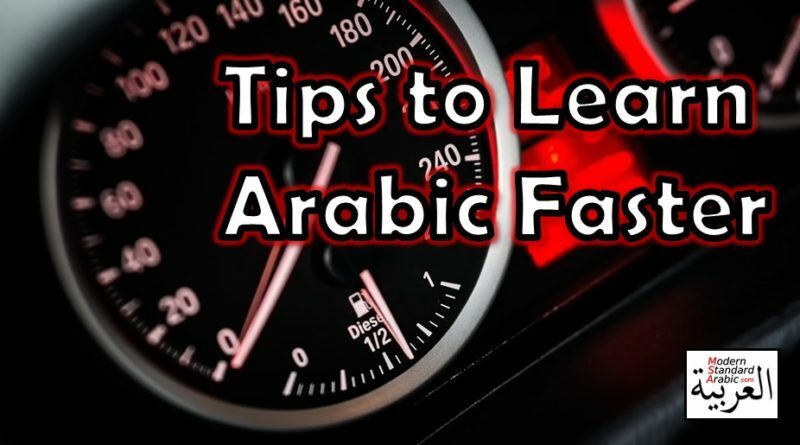 Here are some tips to learn Arabic faster, with an added secret near the end. Structured materials, mixed with wild materials – Make sure you are getting a solid foundation on the basics, and building a very strong core. You can’t overlook the core while you reach out for the advanced stuff. 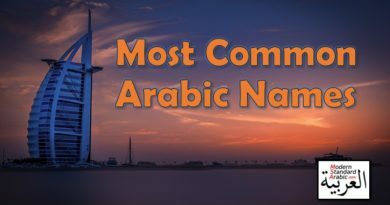 Hit primers, get the pronunciation down well, get the top few hundred verbs down cold, master basic grammar like an Arab Ninja. Often, people forget the basics as they journey to “fluent land”, and they burn out with weak foundations. Master the top 100 words, then the top 1000 words, and then the top 5000 words. WHILE you are doing this, you consistently sprinkle in the wild materials, like music, newspapers, speaking with natives, etc. But don’t skip your foundation, because it will pay dividends in speed and comprehension. Ignore it at your peril. Some people wonder why they have studied for years, and still can’t hold a decent conversation or understand much? I’ll bet their understanding of grammar, and the basic 5000 word list is maybe 35%-45% comprehension. Utilize the Internet – This website attempts to gather the best tools and materials available online for students of Arabic. The Internet is full of amazing resources that can speed up your language learning. Now, more than any time in history, language students have access to language materials beyond libraries of the past. Sign up for newsletters, watch videos, use apps, download vocab lists, chat with fellow learners, and utilize the digital revolution for your language benefit. The goal is to get digital immersive experiences, similar to what you encounter in-country. 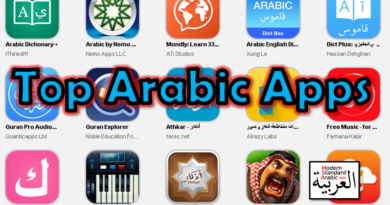 Listen to More Arabic – Try to listen to Arabic everyday. This doesn’t have to be time consuming, even 5-10 minute session can do wonders. Mix up the materials, from news to entertainment programs. Don’t worry about understanding, just absorb what you can each session, and continue the process. Your brain will be working naturally to learn the language for you. You should be in Absorb Mode, and not in Despair Mode. Read Arabic Newspapers – Same as above. Even going for headlines and a few sentences into a few stories will do the trick. Sure, you will be intimidated in the beginning while your vocab is limited. But pay no attention to your weaknesses. By practicing this session after session (5-10 minutes), your ability to understand the language grows. Each time you do it, the ability grows (though you may not see it, the growth is there). Listen to Arabic Songs – Finding ones with English/Arabic subtitles is gold (here is an example). Set your Language Goals – It is a temptation to always want “more fluency”, without defining it. It is maddening to language learning, as you are constantly encountering new vocabulary, new topics, new territory that is unknown. Sit down and decide what you want to do with the language. Are you preparing for a test? A job? A relationship? Whatever your purpose, make sure you define it. Once defined, realize what you need to accomplish that goal. Do you need 100 vocabulary words? 1000? 10,000? 20,000? There are real levels of mastery for different purposes. Not everyone needs to study until they learn every Arabic word that is out there. You already do this with your mother-tongue. When you need new vocab for new studies or goals, you go out and read books and look up definitions. Same is true for a foreign language. Know your purpose, and set your goals. Otherwise, you will be sick with “language creep” for the duration of your studies, as language learning could literally never end. Consistent Time, not Long Time – Don’t think you need long arduous language sessions all day to succeed. Rather, measured “instances” that are consistent and focused will do the trick. Spreading out multiple 5-10 minute vocabulary sessions can be much more effective than a 2 hour power session that leaves you drained and burnt out. Think mini-goals, and consistency. 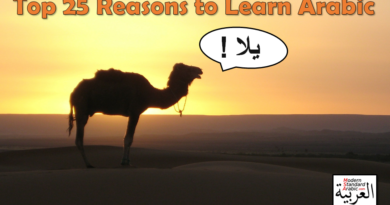 Listen to Arabic in small chunks, take breaks – eat the elephant one bite at a time. You swallow large pieces and risk choking to death. Ignore Self Sabotage – Throughout studies, you will find yourself tempted to despair. Looking for excuses, looking for differences with your native-language, looking for reasons to complain. Ignore it. The resistance is there for any task that requires effort. People have learned this language before you, and they will after you. The mind will think of any excuse in order to protect you from the pains of effort. But for every negative thought, find a positive one to replace it with in order to speed your language studies. Think the alphabet in Arabic is hard? Try Chinese, it doesn’t have an alphabet. Think broken plurals in Arabic are hard? Thank your stars that feminine words mostly all follow the same plural rules, that saves you half the trouble right there! Think the words sound the same? So does English to the foreign student (smile, smell, smite, smoke…). Just realize that much of your “slowness” in language learning is actually self produced. And knowing this provides you with power. Focus efforts on High Frequency – Find the high frequency words, verbs, prepositions, structures, newspaper jargon, and phrases, and master these. You get more efficiency in your studies. Don’t fret over low frequency stuff. More often than not, the low frequency stuff is more for recognition when you see/hear something, rather than production. High frequency stuff is what you will need to actually produce (say/write), and what counts towards most people’s ideas of “fluency”. Don’t fret – just set your goals, then attack the high frequency materials as deep as you need. Go Native – You will massively speed up the process by speaking with a native speaker of the language. Using a native as a mirror, to emulate and learn from, is the true secret to language learning. How do children learn language? From their parents, from their friends… from cartoons. But mostly from listening and speaking with their parents hours and hours. Bounce sentences off them, and get corrected. Thank you for sharing excellent informations. Your site is very cool. I am impressed by the details that you’ve on this web site. It reveals how nicely you understand this subject. Bookmarked this web page, will come back for extra articles. You, my pal, ROCK! I found simply the information I already searched everywhere and simply could not come across. What an ideal web-site.